Tata launches Magic Iris EV & Super Ace EV… along with EV Bus | PlugInCaroo… Karo plugin… abhi!… save the environment!!! These Electric Variants of Magic, Magic-Iris, SuperAce and Nano were all showcased long ago but never released because of the scumbag of a CEO called Cyrus Mystery who came in after the earlier CEO got murdered in Bangkok (just ahead of the testing of the Nano EV on the shopfloor). Scumbag Cyrus had already wicked-schemed to stop Nano car production by March 2017… but thankfully that nut was given a fitting screw by the one and only Ratan Tata. Nano has been selling steady at around 800 vehicles per month in spite of non-existant advertising. All these well planned efforts by vested interest to stop EV from becoming popular and low cost fails as of now… but the sinter plans of Cyrus Mistry & Pakistani Nusli Wadia will continue. But with this release India will have more varied electric vehicles in the world… Ather Electric scooter & Tork electric motorcycle will also be launching by year end. This will make year 2017 a truly electric year! Forget about the bus I am not even going to waste my time and data bandwidth mentioning 1cr vehicles! Tata Magic Electric Vehicle (EV)… zero service & maintenance cost! This little guy IRIS even got an award. TU-Automotive Detroit awarded Tata Motors the ‘Best Telematics Product or Launch in the Emerging market’ for its Telematics solution based on Android platform, developed for the Tata Magic Iris Electric. TU-Automotive Detroit gives its Telematics Autonomy mobility awards every year to companies for outstanding products or services in an emerging market for vehicle connectivity. The award-winning Telematics offering of Tata Motors provides a number of unique features. It includes a trip planner and navigation that uses an algorithm to calculate the possibility of a trip based on battery charge and Duress one-touch SMS feature for ambulance, police and owner. Other features are Service SMS for service reminders and break down management, mobile alert for charging, and a simple and full-proof intuitive graphic user interface experience, Tata explained. The Tata Magic Iris Electric is a zero emission last mile small commercial passenger vehicle that is powered by a Lithium-Ion battery module of 110 Ah at 48V. The vehicle is claimed to be able to run up to 100 km with two battery modules, which takes a maximum of eight hours to charge through an on-board charger. The Tata Magic Iris Electric also comes with a 120 watt solar panel on the roof for supplementary charging, the company said. Tata Magic Iris (Tata’s version of autorickshaw) … with zero service & maintenance cost! The Tata Magic Iris – ZIVA is the world’s 1st Fuel Cell production vehicle!!! It is powered by Electricity and also by Hydrogen!!! 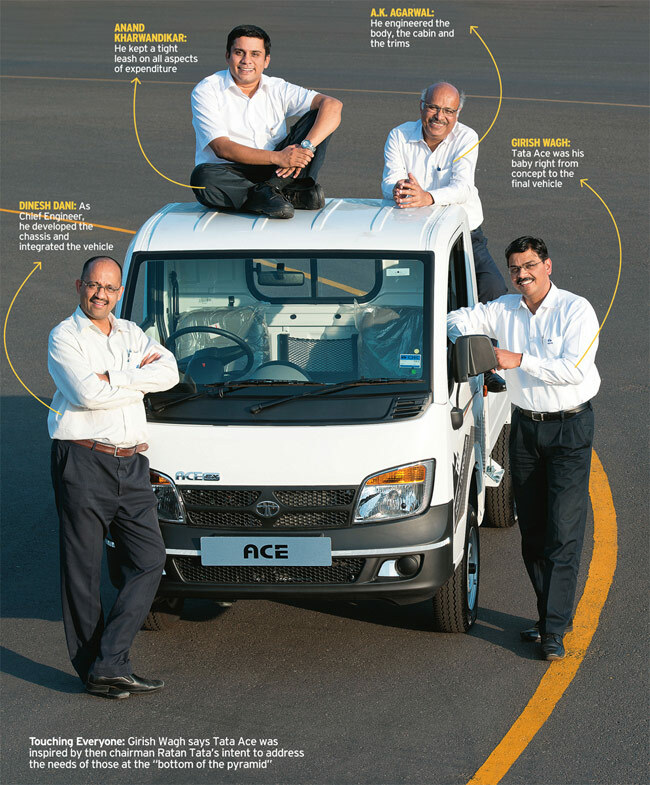 The development of TataAce has a history in itself.. where Tata created a niche vehicle where none existed… not too small but not too big… so that it could easily get into and get out of any tiny lane in crowded cities or slums… for delivery… kind-of like a shoot-&-scoot vehicle! Ace has been a very big seller since its launch… the Electric Version is going to be even more economical for the truck owner… zero service & maintenance cost! PlugInCaroo Verdict: These EVs are damn good vehicles and super economical than diesel vehicles as long your target areas are within 50kms radius because it will take 50kms to go and 50kms to come home… making 100km range! Overall Diesel & Petrol vehicles have the same economy because diesel is cheaper as fuel but expensive to service while petrol is slightly expensive with fuel but cheaper to service. In electric vehicles if you are charging properly and regularly there is no requirement for any kind of service other than tyre and brake-pad change. The solar panel on the roof at 120watts is very low and panels of range 250 & 300w are now available in the market. Its not clear whether you can add panels. The buses cost between 1 to 2 crores have a range of 150 kms with full load and takes eight hours to get fully charged. There is also an option of a flash charge which charges the roof-mounted batteries in 15 minutes. Tata Motors is working on developing fast charging technology for future generation electric vehicles.